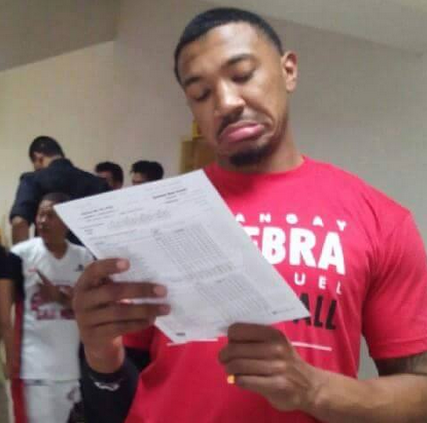 Orlando Johnson's Reaction After Another Monster Performance Last Night in Ginebra's Win Against KIA: Take A Look! Orlando Johnson continues to flourish in the PBA as he churned out another double-double output, 47 points, 17 rebounds, 3 assists, and 3 blocks in Ginebra's thrilling win over KIA via 105-98. Ginebra can really rely on his inside and outside game. When the team management gave Johnson a copy of the game stats, his reaction was priceless. Take a look!